After weeks, months or even years of lessons, you're now ready to hit the road as a new driver without supervision. As daunting or exciting as that might be, buying your first car insurance policy could be more of a minefield. A common misconception is that a comprehensive policy could cover your car from general wear and tear - eg a head gasket going, or the clutch etc. This isn't true. It's there to cover your car against damage in the event of an accident, whether that's a small or major accident. How much does car insurance cost for new drivers? It probably comes as no surprise but the most common age to pass your practical car driving test in the UK is 17*. This means that most new drivers hitting the road will be looking for their first insurance policy at this age. The not-so good news is that 17 year olds are also one of the most expensive age groups to insure. The latest Confused.com car insurance price index shows that the average comprehensive policy for a 17 year old costs £1,855. This is £256 more than 21 year old drivers pay. And £1,081 more than the national average. It's not an exact science though. Individual circumstances such as where you live and the car you drive, can also affect the price you pay for insurance. How do I know which is the right policy for me? This really comes down to you. 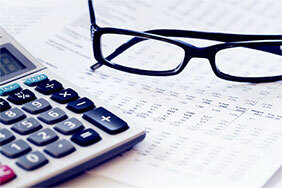 Although budget may be a consideration, it’s important to do your homework. You may think a TPFT policy is cheaper than comprehensive cover, but this isn’t always the case – especially if you end up pranging your own car! If you decide to break up the payments by paying monthly on direct debit, this could end up costing you over 12% extra*. Some insurance companies offer a cheaper one-off payment option rather than paying interest on instalments. Adding additional drivers on to your policy isn't necessarily cheaper. Really you should only add on drivers who'll be driving the car and need to be insured. Keep your mileage accurate. Try to estimate how many miles you think you'll actually do. Take into consideration how far college/uni/work is, and how many miles you'll cover visiting friends & family etc. If you'd like more information, our handy guide on how car insurance is calculated explains more. As a new driver you won't have built up any no-claims bonus yet. Despite that, it's worth understanding how building it up could lead to discounts on your insurance. Our no-claims bonus guide gives the lowdown on what it is, how to build it up, how to protect it and more. If it's your first time taking out car insurance, chances are you won't know how many miles you'll cover over the course of the year. Insurers use this information to calculate premiums, and you'll need to give an approximate annual mileage in order to get a quote. If you have a rough idea of how many miles you'll be driving each day, you can use this table to get an estimated annual figure. Generally, insurers see drivers with a higher annual mileage as a greater risk, and charge higher premiums, though this is not always the case. But it's important to be as accurate as possible, as underestimating your annual mileage could invalidate a future claim. For more tips on how you could save money on your car insurance, take a look at our collection of car insurance guides. Buying your first car is an exciting time and you’ve probably already got an idea of a few models you’d love to call your own. Although your dream car may be something fast and fancy, beware of the hefty cost of car insurance for new drivers. To give you a bit of an idea of which cars are cheap to cover, take a look at our list of the top 10 cheapest cars to insure. The car you choose can have a huge impact on the price of car insurance for first-time drivers. A group rating system is often used as one of the factors to determine the risk insurers face when covering a particular car. There are 50 different insurance groups ranging from 1 to 50 with 1 usually being the cheapest to insure and 50 being the most expensive. If your dream car sits in the higher insurance groups and you don’t want a hefty insurance bill, it might be best to hold off until you’ve got a few years no-claims-bonus behind you. Unfortunately, being a first time driver, your car insurance isn’t going to be the cheapest because of one primary factor, risk. Most new drivers fall into the Under 25s bracket and industry statistics show that one in four 18 to 24 year olds crash within two years of passing their driving test. Insurance providers see this as risky and that’s why car insurance for new drivers is going to be more expensive than someone with a few years of experience behind the wheel and some no-claims-bonus under their belt. Earning a no-claims bonus takes time so you’ll have to be patient. Each year that you’re insured and don’t make a claim that’s a years no claims bonus in the bag. Although it will take a few years to build up, once you can prove to your insurance provider you’re a safe driver then you should start to see the prices come down. Kit your car out with extra security features like alarms, trackers and immobilisers. These help reduce the likelihood of damage and theft which in turn, can help keep the costs of your car insurance down. A black box is a small device that’s installed in your car. It tracks things like acceleration and braking to calculate your driving performance. 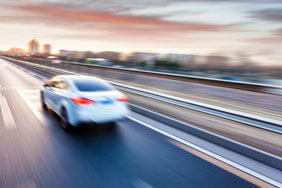 If you can prove yourself to be a safe driver that’s less of a risk then insurers may offer you discounts as a reward. Getting a quote is easy. Simply tell us your car and driver details, and we’ll search up to 116 different car insurance providers to find you the best deal. We also offer a wealth of information to help you along the way. This ranges from what not to do if you're a new driver to working out your car running costs. And we don't just help drivers win on car insurance - but all things motor, including breakdown cover and buying a car. New drivers, we can help!